Zara is already rolling out the first of its fall collection, and we couldn't be more impressed. It's full of expensive-looking, on-trend pieces, and as expected, some of them are already selling out. 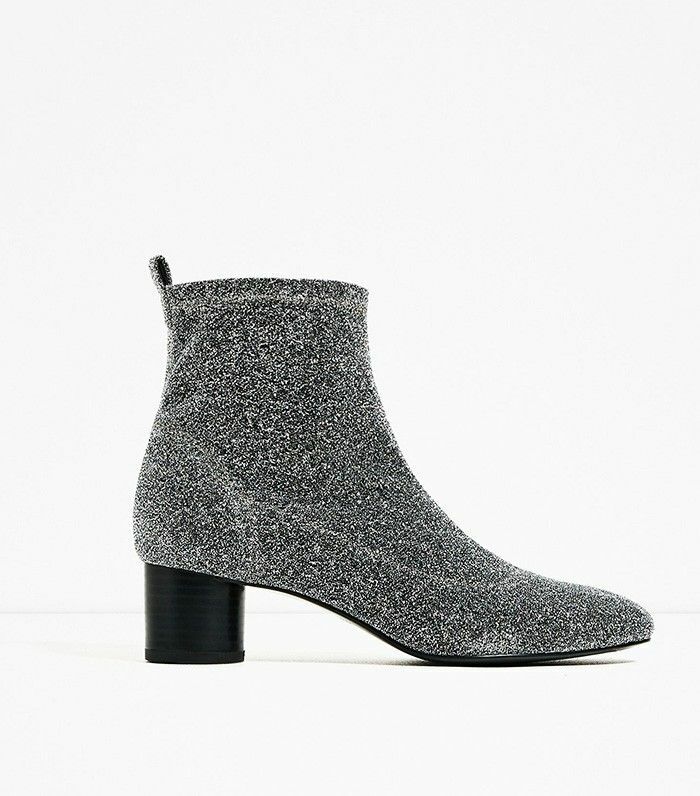 Case in point: a pair of shimmering gunmetal ankle boots that clock in at a mere $60—party boots, if you will (although they can easily be dressed up or down). These shimmering stunners feature a sock-like fit, making them a great option to pair with wide-leg and cropped denim flares. We happened to sign up for email notifications on the boots last week, as they weren't yet in stock. As luck would have it, they arrived in stock over the weekend only to sell out in every size in just a couple of hours. It appears that we weren't the only ones mesmerized by the boots' sparkle (and price tag). In sellout situations like these, our best advice is to sign up for email notifications for your size and stalk the item in question until it appears again. Lo and behold, the boots have come back in stock since their initial arrival, only to quickly sell out again. Keep scrolling to shop the in-demand party boots and some of our other new (in-stock) ankle boots favorites from Zara! Behold the boots that everyone wants. These are our idea of ruby slippers. Boots this timeless and sleek for under $100 are hard to come by. These will pair perfectly with denim. How gorgeous is this color? Would you wear Zara's sparkly party boots? Tell us in the comments!